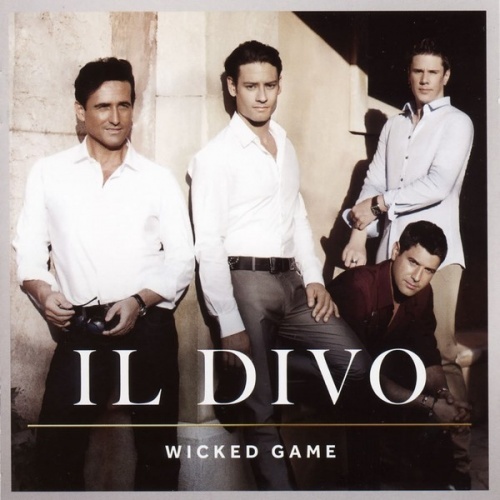 If Il Divo’s fifth album, Wicked Game, sounds no markedly different than their previous four, it all comes down to this: there’s only so much that can be done with the quartet’s operatic pop. The innovation was the minting of the formula; once it’s in place, new casts can be struck from the same mold, and so it is with Wicked Game. Il Divo divide their time between soft pop standards like Roy Orbison’s “Crying,” Andrew Lloyd Webber’s “Don’t Cry for Me Argentina,” and Chris Isaak’s title track and poppified classical, both reaching the same slickly bombastic yet never overwhelming middle ground. No new converts will be made but no fans will be alienated either -- both are a byproduct of delivering the expected.